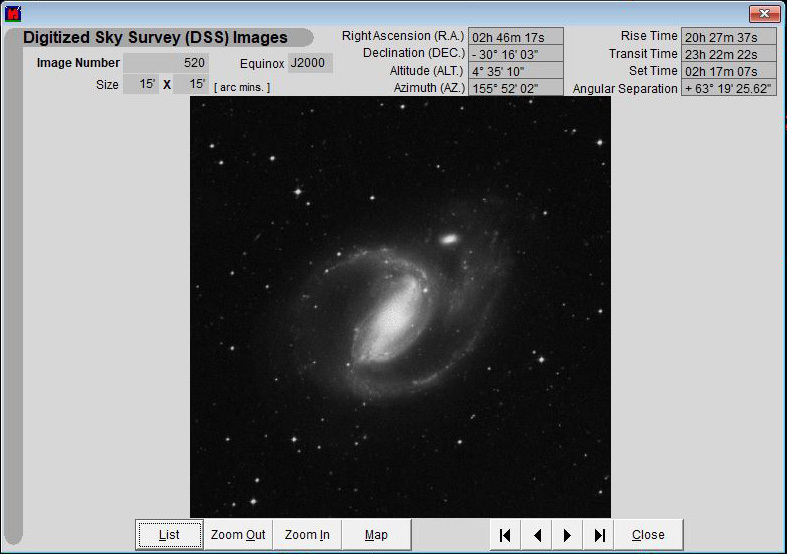 STAR Atlas:PRO's Internet technology automatically fetches and displays Astronomical Images from the Palomar Digitized Sky Survey (DSS) for any part of the sky you care to choose. 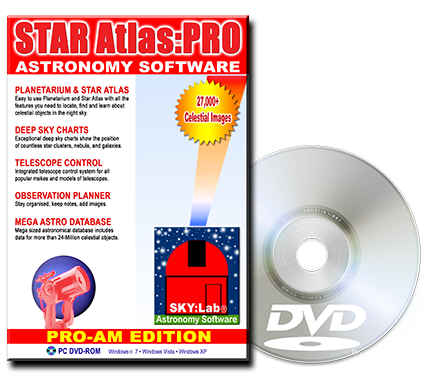 Simply connect to the internet, point and click anywhere on a STAR Atlas:PRO chart and download the image. This valuable astronomer's resource, displays astronomical images for any where in the sky you care to point and click. If you don't own a telescope then this is the perfect way to experience the sky! If you do own a telescope then this is the perfect tool to assist you in locating interesting objects to observe or perhaps photograph. As each DSS Image is downloaded and displayed you may choose to Keep or Discard the image. If you Keep the Image then it's linked into the STAR Atlas:PRO's database ready to display whenever you choose. In fact, the position and area of each DSS Image that you collect, may be plotted on charts and the Image instantly re-displayed when you click it. 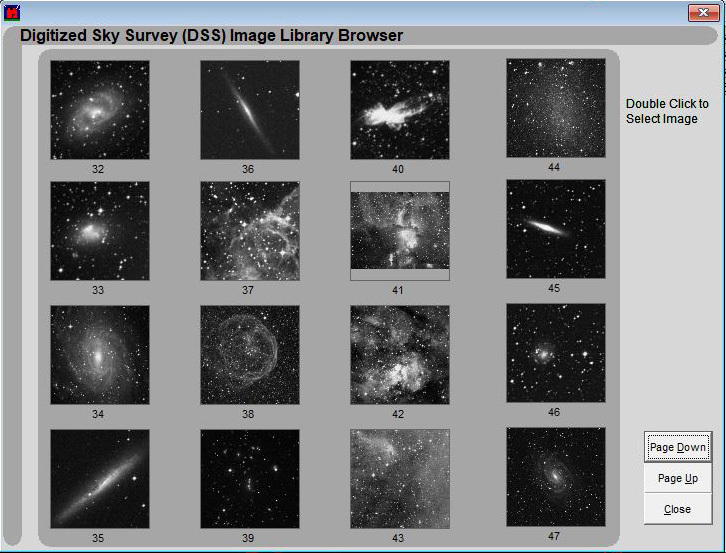 The DSS Image Library Browser provides a quick way to browse and search all the DSS Images you collect. There is no limit to how many DSS Images you can have, either. Click on the Image of choice and it's information panel (DSS Image database) is displayed. Selecting a DSS Image that you've previously stored displays the Image along with it's information size and position information. Charting this object's location or sending the telescope slewing to this object are all just a single command away.